What's the Best Dog Car Seat Cover? 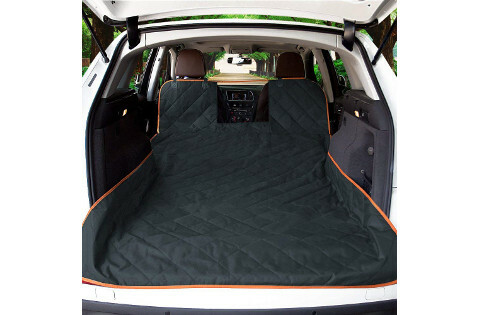 Are you wondering how to take your favorite furry friend with you on all of your adventures but you're not sure how because you want to protect your car's seats at the same time? The good news is that you can have both by purchasing one of the best dog car seat covers available. However, there are dozens available, and this can make it difficult to find the best one to suit your needs. 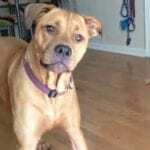 This is why we've rounded up the top five choices along with a guide that'll give you a good idea on what you want to look for in your new dog car seat cover to help ensure that you get the right one. 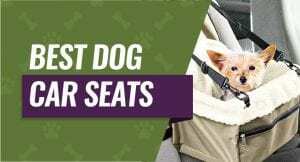 The first thing you have to do is decide on which type of dog car seat cover you want to purchase because there are several different types available. Once you do this, it'll narrow down your choices and make it seem less overwhelming right from the start. 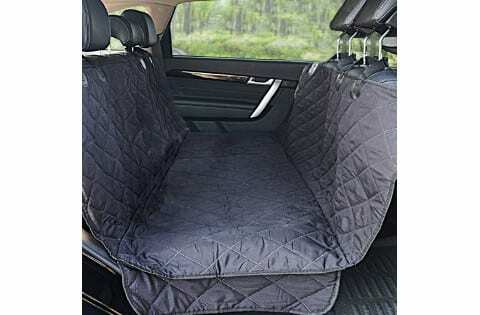 These types of seat covers are meant to go in the back seat of your vehicle, and they give your dog room to stretch out and relax during long car rides. You can purchase them in several different sizes ranging from small to large, and some feature a hammock design that not only protects the back of your backseat, but it also protects the back of your front seats. If you're more worried about your door panels, you can buy covers that are designed to just slip over the door panels and protect it from scratches or chewing. They're great for excitable dogs who accidentally cause damage when the bounce around or for dogs who like to chew during car rides and turn their chewing to your doors. For people who have an SUV with a large truck space they want to use, a cargo cover allows you to transport your dog in your cargo space while protecting it. They usually cover the floor of your truck, the backs of the seats, and up the walls to the window level to protect your trunk's sides. 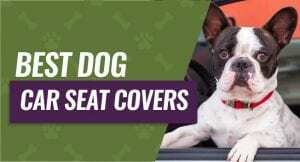 Front seat covers are exactly what they sound like, and they slip over your front seat to cover the backrest and the seat portion and protect it from your dog's nails and fur. These are best for smaller or medium dogs who can fit comfortably in your front seat while larger dogs will usually be more comfortable in your back seat. Related: Want a car seat for your dog instead of a cover? Check Out Our Top Picks for Dog Car Seats Right Here! Once you decide which car seat cover is going to work for your vehicle, you can start comparing them and see how they stack up against one another. This will help you find the best one to suit your needs. Although most dog car seat covers come with straps to attach them to the back of your front seats, you want to make sure that your particular one has adjustable straps because this will help to ensure that you get a secure fit. Adjustable straps also tend to lock into place, and this can prevent your cover from slipping around when your dog moves. Some dog seat covers feature functionality over comfort, and you want your dog to be as comfortable as possible while they're in the car, especially if they're going on a long car trip. If it's possible, get a car seat cover with a quilted top that is made out of durable but plush fabric. These covers are usually slightly larger and heavier, so you want to make sure that it's as easy to clean as possible. Look for a cover that you can vacuum or spot clean, and it's even better if you're able to toss it in your washing machine to get a thorough clean and then put it in the dryer to finish the cleaning cycle. Depending on the type of seat cover you get, you may be able to quickly and easily fold it into multiple configurations to fit different seats or areas in your car. 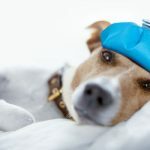 Most hammock-style seat covers have foldable sides that you can extract or expand depending on your needs, and these can make it easier to get your dog in and out of the car. Along with adjustable straps to secure your seat cover, you may also want to get one with a non-skid backing or non-skid attachments because these can add another layer of security for your dog. Some seat covers have the entire back as a non-skid backing while others only have small lines or dots that are non-skid material. Dogs can be hard on car seat covers, so it's important that you can easily get replacement parts if and when you need them. Make sure you check and see how you go about getting your replacement parts because some companies have long processes while other companies make it quick and easy. One thing many people may not think of are seat belt slots, but these slots allow you to either buckle your dog in with their harness to keep them safe, or it means that you don't have to remove the cover every time someone rides in the back seat. These slots should be reinforced, so they don't tear, and many quality covers come with velcro closures so you can tuck them away when they're not in use. The warranty is very important with your dog car seat cover because you may purchase it and find that it doesn't fit your vehicle properly. Some warranties last 30 days, some last a year, and some last a full decade while allowing you to replace it at no additional cost to you. You want to protect your seats, and having a dog car seat cover with a waterproof backing can prevent your seats from getting stained or wet if your dog has an accident while they're riding in the car. Most seat covers are either waterproof, or they have a waterproof layer built right into the back. Your car seat cover may have a maximum weight capacity, and this is important if you have a larger dog. 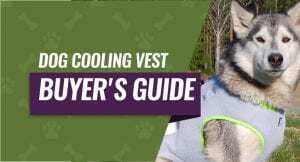 Make sure that you double check the weight capacity if you're buying the cover and your dog is younger because you want something that you can use throughout your dog's life as they grow and get bigger. You'll get two size choices when you purchase this seat cover that is designed to fit most standard truck, SUV, or car backseats, and this seat cover is made to have seven inches of overhang that work to protect the sides of your seats as well as the back and bench area. You'll get a heavy-duty polyester fabric that is easy to take care of, wash, dry, and maintain as well as being waterproof and resistant to pet accidents. It comes with velcro openings build in that hook securely over your seat to keep the set cover in place as your dog moves around. Dog parents who bought this dog seat cover liked that the cover buckled around their headrests and had velcro to hold it in place for extra durability, and they liked that this seat cover came with colorfast fabric that wouldn't bleed or run. Dog parents noted that the seat cover's zipper tended to break or tear if their dog pushed against it. 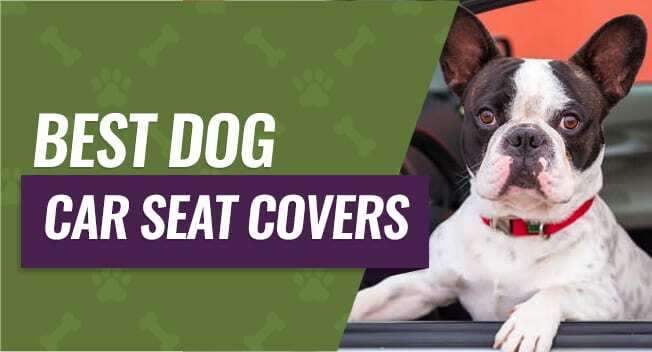 This dog seat cover comes in either black or dark green, and it is designed to cover the backseats of most standard cars, trucks, or SUVs with convenient side flaps that fold up and down to make it easier to get your dog in and out. You can customize it to have a full hammock or a half hammock as well. This durable seat cover is designed to be easy to clean because it allows you to vacuum it, wipe it clean with a damp cloth, or even spray it with a hose and hang it out to air dry. It's also easy to install because you just have to snap the buckles around your seats and tuck the sides in to protect your entire back seat. Dog parents loved that this dog seat cover came with the option to fold the cover down to half a hammock so both their dogs and kids could sit in the backseat at the same time, and they were happy that this seat cover was very easy to clean and maintain. Dog parents didn't like that the zipper tended to break or strip. This newly redesigned dog seat cover comes with a soft and luxurious seat cover coupled with a durable waterproof liner and a non-slip backing that anchors your seat cover into place once you have it where you want it. You can toss this seat cover into the washing machine and dryer to keep it looking and feeling clean. You'll be able to install this seat cover very easily with the included seat buckles, side flaps, and seat anchors that all help to give you total protection for standard trucks, cars, and SUVs. You can also easily switch it from a hammock to a standard bench seat cover, and it's designed to be completely waterproof with seat belt holes built right in. Pet parents really liked that this seat cover has a new and improved design that gives the cover a softer but more durable feel, and they liked the non-skid backing that helped to keep the cover in place. The did say that the side flaps are on the shorter side, and the flaps may not cover the seats fully. You'll get three different style options when you choose this dog seat cover including hammock, seat, or quilted hammock, and this dog seat cover comes with a waterproof double layer design with seat flaps that fit most standard vehicles. The Gorilla Grip backing is designed to anchor this seat cover to your seat, and it stays in place as your dog rides in the car. You'll get a convenient zippered pocket on one side that holds treats, food, waste bags, leashes, and more, and this dog seat cover is very easy to install with quick release clips that attach to the headrests. It comes with a satisfaction guarantee that is good for up to a decade, and you can vacuum it, spot clean with a damp rag, or you can also toss it in the washing machine and dryer for easy cleaning. 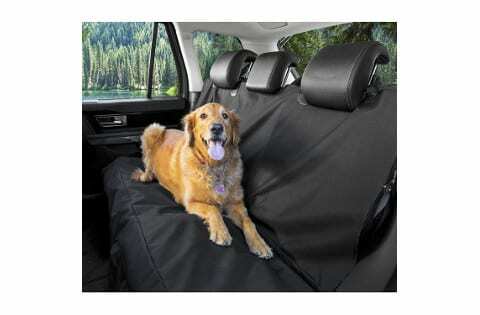 Dog parents really liked that this dog seat cover had a universal design that fits into most standard vehicles, and they were also very happy that this dog seat cover could get tossed into the washer and dryer for easy cleaning. Dog parents weren't happy that this cover didn't fit larger seats or seats with modified headrests. You'll get a convenient zippered storage bag for this dog seat cover, and it comes in several design options including backseat, cargo, door protector, SUV, and truck that allows you to customize it to suit your needs. It features a mesh window that fits between the front seat to offer good airflow and a space for your dog to see, and you'll also get a sharp black and orange design. You get a hammock design with side flaps that protect the back of your seats as well as the sides, and the back has an anti-slip rubber coating that helps to anchor this dog car seat cover into place. You can return or replace this seat cover within 30 days, or you can also take advantage of the one-year warranty. Dog owners who purchased this car seat cover were happy that they could choose between several different styles, and they liked the mesh window because it let their dogs see through it into the front of the car. The dog owners didn't like that the seat straps tended to slide down. Our pick for the best dog car seat cover is the BarksBar Original Pet Seat Cover for Cars because it's made to fit with several inches of overhang that protect the sides of your seat. We liked that this dog car seat cover is made of out polyester that is very durable and with withstand a lot of wear and tear. This dog seat cover is made with colorfast technology that ensures that the color won't rub off onto your seats when you use it. Finally, this cover has both buckles and velcro to keep it in place, even with active dogs.